According to legend, Ernest Hemingway once bet $10 that he could write a novel in six words. “For sale: baby shoes, never worn,” he wrote. The baby shoes novel is brilliant. "Hard as a six word novel"
In my mind I kept sounding like Yoda and couldn't quit! "Think like Yoda, clarity soon appears." "expected is not what life gives." "run to find not away from"
"Thank you, it made me happy"
"what once was is now undone"
"we struggled together now laugh often." 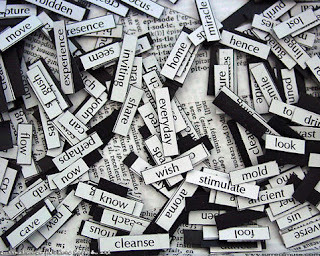 "I walked happily in sideways rain"
"washing dishes thinking about his life"
"You wear that facial flush well"
"Face the mundane with smiling courage"
"change your mind to find happiness"
"Outside our cave the sun shines"
"Sassy yet submissive she embraced him"
"Bloody hell six words are addictive"
"Spend my day thinking in six"
To keep the creativity flowing, What are your six words?? write a blog about this or leave a comment, I would love to know. 1. Only dirty liberals listen to NPR. That one will be displayed in the Republican section of the bookstore. I'll make millions. 2. Write many words - books are dead. (because an ereader stays the same weight, regardless of volume). 3. You'll run well if you're patient. 4. Exhausted, they stopped hating each other. PS re #1, I don't really think there's a connection between political alliances and personal hygiene. Knocking on the last man's door. Clear December morning, work required. Diddly. Love the post, by the way, well done! ohhh very though provoking... hmm this is hard, and yes you do oddly sound like yoda! I should also mention that Wait Wait Don't Tell Me and This American Life are great. I could listen to car talk for hours :) They crack me up! This American Life is my favorite running podcast. Cookie dough shortage: Wide Spread Panic! That is a great one Steph! I love Wide Spread Panic and am looking for some tunes of theirs now. I like the Porch song and Space wrangler by them.